BRIDGEVIEW, Ill. -- Sunday's international friendly between the Chicago Fire and A.C. Milan had a few elements you wouldn't typically see at a Fire match at Toyota Park. Away from the field of play, you had the crowd, a couple of fans disrupting the action, a flare whizzing by Milan goalkeeper Dida. On the field, with a top-tier opponent such as Milan, the fluidity and trickery with the ball tends to go up a level from both sides. In the end, Milan pulled off the 1-0 victory over Chicago in front of a sell-out crowd of 20,356. The result was a disappointment from the Fire's perspective, but Chicago took some elements out of this match. After speaking with Fire midfielder/forward Patrick Nyarko, he took plenty of satisfaction in saying that he schooled Milan's Ronaldinho, a two-time FIFA World Player of the Year, by flicking the ball over Ronaldinho's head and attacking in the other direction in the 16th minute. "It was great," Nyarko said with a huge grin. "I was laughing it up with my teammates. It's probably the highlight of my career right now. I told him that he's probably going to [beat] me later, but I don't care. It was really fun. I'm glad I pulled it off." BRIDGEVIEW, Ill. -- Kosovare Asllani netted her first goal and the Chicago Red Stars defeated first-place FC Gold Pride, 1-0, on Saturday in Women's Professional Soccer action in front of 3,845 at Toyota Park. 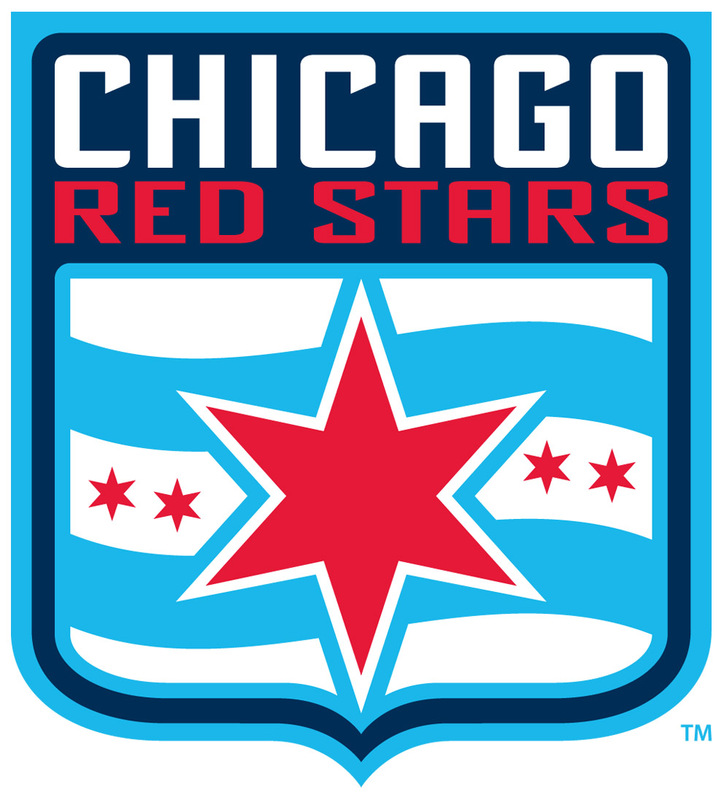 Next up for the Red Stars is a 5 p.m. match on Sunday, June 6, against the Atlanta Beat at Toyota Park. The Red Stars' first match against Atlanta is televised live on Fox Soccer Channel. On Saturday, the Red Stars (2-4-1) struck first in the 55th minute when Asllani was on the receiving end of a Marian Dalmy dish from the right side. Asllani had the easy tap-in goal to give Chicago a 1-0 lead. It was the team's first lead at home this season, put an end to a five-half scoreless drought and resulted in Chicago's first home victory. "We are really excited and I feel like it is our start, in my opinion," Asllani said. "We had a couple of games that we had dominated that we didn't win, and after all, the winning is the most important thing. And I think we got good confidence from this game." BRIDGEVIEW, Ill. -- Italian club A.C. Milan and Major League Soccer's Chicago Fire square off in an international friendly at 7:30 p.m. Sunday at Toyota Park. It caps a jam-packed May for the Fire as they enter their seventh and final match of the month. The Fire and Milan last played one another in 2005 at Soldier Field, with Milan topping Chicago, 3-1. 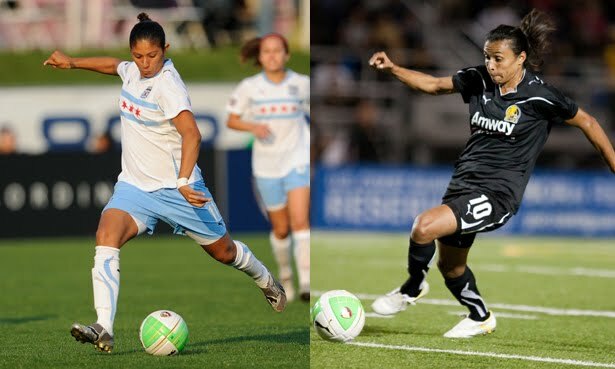 BRIDGEVIEW, Ill. -- Following a bye week from Women's Professional Soccer play, the Chicago Red Stars take on four-time FIFA Women's World Player of the Year Marta and FC Gold Pride at 7 p.m. Saturday, May 29, at Toyota Park. The match marks the second meeting between the two clubs in the month of May. In their last contest on May 8, the Red Stars (1-4-1) fell on the road to Gold Pride, 2-0, in Castro Valley, Calif., playing most of the match shorthanded when defender Ifeoma Dieke was red-carded in the 21st minute. Gold Pride (5-1-0) leads the all-time series between the two sides with a 2-1-1 record. 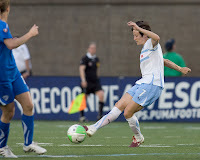 The Red Stars are looking to secure their first home victory of the 2010 season. As the Red Stars progress with their search for a new head coach, General Manager Marcia McDermott will serve as the temporary team coach in Saturday's match against Gold Pride. McDermott, who was named the 62nd President of the National Soccer Coaches Association of America in January, last served in a coaching capacity as an associate head coach for the University of Illinois women's soccer team in 2006 and 2007. 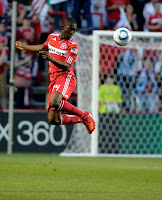 BRIDGEVIEW, Ill. -- The Chicago Fire dug themselves into a bit of a hole, but a Brian McBride goal allowed the Fire to salvage a 1-1 draw against FC Dallas on Thursday night in MLS action in front of a crowd of 12,552 at Toyota Park. If the Fire's busy May schedule has taken its toll, Thursday showed some indications that there were some heavy legs on the Chicago side. The pace of the second half slowed down quite a bit Thursday. "The first half was pretty lively. The second half, fatigue set in," Fire midfielder Justin Mapp said. "It's a lot of minutes for a lot of these guys. It's no excuse, but a little fatigue in the last 10 to 15 [minutes]." BRIDGEVIEW, Ill. -- The 2009 SuperLiga runner-up Chicago Fire will return to the fourth edition of the tournament in July. Major League Soccer and Federacion Mexicana de Futbol announced the 2010 SuperLiga schedule on Thursday. SuperLiga features the top four MLS teams from the previous year's regular-season record who are not competing in the 2010-11 CONCACAF Champions League. The four Mexican clubs are based on combined points in the Apertura and Clausura 2009 who are not competing in the 2010-11 CONCACAF Champions League. The Fire, Chivas USA, Houston Dynamo and New England Revolution represent the MLS side. The Mexican clubs include Monarcas Morelia, Pachuca, Puebla FC and Pumas UNAM. The Fire host Monarcas Morelia at 8:30 p.m. Wednesday, July 14, at Toyota Park. For the full schedule and more information, visit ESPNChicago.com. Chicago Red Stars defender Kate Markgraf will never forget the moment she was told 14 weeks into her pregnancy she would be having twins. "I cried," said Markgraf while laughing. As a mother, she was overjoyed. As a soccer player, she was terrified. Markgraf had decided long before the doctor's late-breaking news of twins that she was going to play at least one more professional soccer season. The thought of twins made her pause, but it wasn't enough to deter her. On Saturday, Markgraf officially completed her comeback. In the same week as her girl-and-boy twins, Carson and Xavier, turned 11 months old, Markgraf made her first U.S. women's national team appearance since December 2008 when she came off the bench in the 63rd minute Saturday and helped the U.S. hold on for a 4-0 win over Germany before 10,000 fans in Cleveland. "I wasn't expecting it at all," Markgraf said of being called up for the game. "I was very surprised and honored at the same time." Read the rest of Scott Powers' story on ESPNChicago.com. BRIDGEVIEW, Ill. -- We are into the tail end of May, with plenty of Major League Soccer action left in the tank. But with a 2-3-3 record and a middle-of-the-pack spot in the Eastern Conference, the Chicago Fire are looking to change the tone of its season. The Fire hope they can find the win column when they host FC Dallas at 7 p.m. Thursday at Toyota Park (game televised on ESPN2). "We need to win," Fire head coach Carlos de los Cobos said. "We need to win this match and be aggressive." The Brimstone Cup -- awarded annually to the winner of the Chicago-Dallas season series -- has been a tremendously one-sided honor in Dallas' favor. The Fire have not taken the head-to-head series since 2001 -- the only time they have won the Brimstone outright. Former Chicago Fire and current U.S. Men's National team head coach Bob Bradley had some difficult decisions to make in piecing together his squad's 23-man roster for the 2010 FIFA World Cup. After surveying what seemed to be an endless list of potentials, Bradley named his World Cup squad on Wednesday. The grouping includes former Fire players Carlos Bocanegra and DaMarcus Beasley. Beasley joins midfielder Landon Donovan and defender Steve Cherundolo as the only U.S. players making a third World Cup appearance. Last year, Beasley was not exactly on the radar to make this step. The Fort Wayne, Ind., native's form was sub-par, and it was only until a successful December stretch with Glasgow Rangers that people were taking notice of him again. "He certainly had to prove himself," Bradley said. "DaMarcus obviously had fallen out of it a little bit, and he needed to make a renewed commitment to the team, a renewed commitment to doing things as a player that make his team better. We've seen that, and we feel good about the way he's worked to make that happen." BRIDGEVIEW, Ill. -- The Chicago Fire's 2010 first-round draft pick, midfielder Corben Bone, finally was able to put in some worthwhile game-time minutes during Saturday's consolation match against Legia Warsaw in the Sister Cities International Cup. Bone got the start and played until the 57th minute during the Fire's 3-0 loss to Legia. "I think I did some pretty good things," Bone said following Tuesday's training session. "So hopefully I did myself some favors, and I'll be able to get into some MLS action soon enough. It was my first game, and I felt good about myself in my first start, against a European club that some might say was a little bit stronger than an MLS team." While the Fire were kept off the scoreboard, Bone did showcase in his playing time that he has some valuable intangibles. Bone appears to cover a lot of ground and move well north-south and east-west on the pitch. He has energy and is an attacking-minded guy, which down the line could be good traits that match Fire head coach Carlos de los Cobos' approach. And it looks like he is a versatile option when called upon. "I try to get the ball as much as I can, make runs behind, make runs to get the ball, stuff like that," Bone said. "The position that I played [Saturday], I was in between the defense and the midfield, so I just tried to create problems, make the team work to defend me, and find my teammates." "Corben is a player with a very good future," De los Cobos said. "It's necessary to try to give him opportunities to play. He has special characteristics -- management of the ball, and he's dynamic." 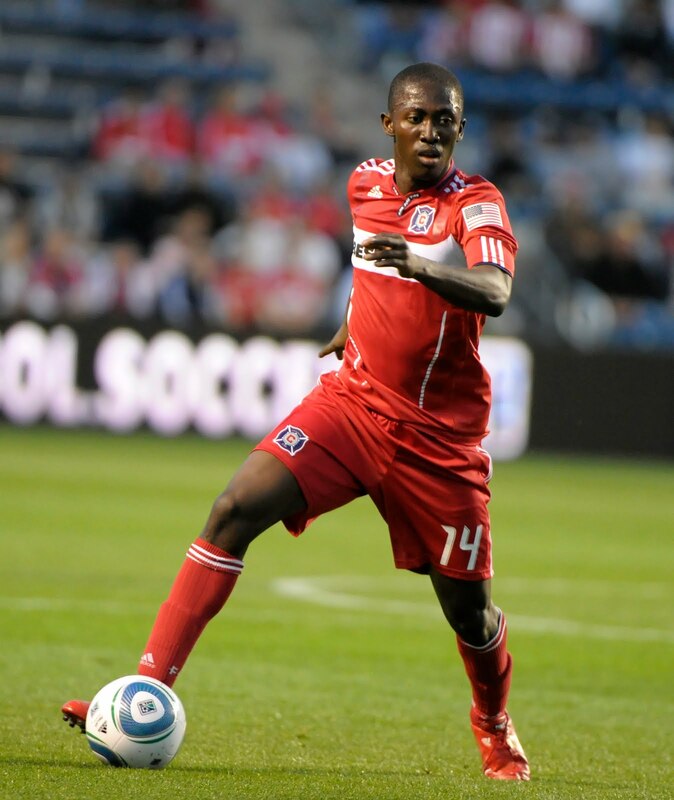 BRIDGEVIEW, Ill. -- The Chicago Fire are in the midst of a busy non-MLS month. And without a league match this past week, Chicago still dropped a point to 12th in ESPNSoccernet.com's weekly MLS Power Rankings. The Fire (2-3-3) resume league play this Thursday when they host FC Dallas (7 p.m., ESPN). Chicago has not experienced a victory since its 2-0 blanking of the Houston Dynamo on April 24. There is some curiosity to see how the Fire can bounce back into MLS action having gone so long without a win. They rotated some players into the mix during their two Sister Cities International Cup matches, losing to finish last out of the four participating squads. "I guess we'll find out Thursday," Fire midfielder Justin Mapp said. "Some of these players have played a lot of minutes in the past week or two with the Sister Cities Tournament and league play. It's important to get them their rest. ... I guess we'll find out Thursday if that'll affect us, but I think we'll bounce back." BRIDGEVIEW, Ill. -- This was not the way the Chicago Fire wanted to draw up their first-ever Sister Cities International Cup. And now they have gone approximately a month without earning a victory. Legia Warsaw netted three second-half goals and blanked the Fire, 3-0, on Saturday in the consolation match of the Sister Cities at Toyota Park. In the tournament's finale, Red Star Belgrade prevailed,7-6, in penalty kicks for the Sister Cities crown. RSB and PSG played to a 1-1 draw in regulation, with PSG tallying a shorthanded, game-tying goal in the 90th minute to send the match to PKs. In retrospect, the Fire's third-place match did not carry a whole lot of meaning, and Fire head coach Carlos de los Cobos decided to start the game without the likes of forwards Brian McBride and Corben Bone, midfielder Marco Pappa and defender Wilman Conde. Midfielder Patrick Nyarko was not even on the available roster. By the time most of the above players made it into the match, Legia caused enough damage. "Obviously this worries me," De los Cobos said. "We need to improve." 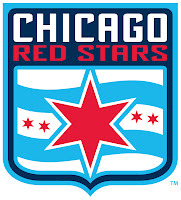 BUFFALO GROVE, Ill. -- The Chicago Red Stars found their offensive spark, netting four second-half goals as the Women's Professional Soccer side defeated United Soccer Leagues W-League affiliate Chicago Red Eleven, 5-0, on Friday night in an exhibition match at the Schwaben Athletic Club. Brazilian forward Cristiane had two goals in 45 minutes of play as the Red Stars' movement up top created many scoring opportunities throughout the match. The Red Stars went with three attacking players, with Kosovare Asllani, Casey Nogueira and Naperville, Ill., native Michele Weissenhofer starting up top on Friday. "I've really been working hard on the front three -- pressuring, and putting the [opposing] team on a lot of pressure, and I thought in the first half we did that really well," Red Stars Head Coach Emma Hayes said. "And then making sure our movement's good up top to create opportunities. When it was 1-nil at halftime, I thought we deserved to be up by a bit more." BRIDGEVIEW, Ill. -- The Chicago Red Stars of Women's Professional Soccer and United Soccer Leagues W-League affiliate Chicago Red Eleven are gearing up for an exhibition match at 6:30 p.m. Friday at the Schwaben Athletic Club, 301 Weiland Ave., in Buffalo Grove, Ill.
General admission is $10, and ages 6 and under receive free admission. The Red Stars are without a rather large contingent of players because of national team duty. That will give plenty of other Red Stars an opportunity to stamp their presence on the first-team squad. Combine that with seeing a few familiar faces such as Red Eleven's Bonnie Young -- a former Red Star -- and a bunch of local soccer flavor, and this exhibition provides an interesting change of pace from league play. "We're definitely looking forward to seeing a few familiar faces," Red Stars Head Coach Emma Hayes said. "But most importantly, this game will give some of our players who haven't played a chance to see if they can compete for a starting position for the Bay Area game." BRIDGEVIEW, Ill. -- The Chicago Fire simply did not look like they were ready for their own tournament. Without a shot on goal in the first 45 minutes and Paris Saint-Germain capitalizing on one of its first-half chances, the French side held on the rest of the way for a 1-0 victory Wednesday in the first-ever Sister Cities International Cup at Toyota Park. In the nightcap, Red Star Belgrade defeated Legia Warsaw, 1-0. Sister Cities resumes Saturday, with the Fire taking on Legia Warsaw in a consolation match at 6 p.m. PSG faces Red Star Belgrade afterward to decide the Sister Cities champion. BRIDGEVIEW, Ill. -- Michele Weissenhofer is the definition of homegrown -- a local product from Naperville, Ill., a collegiate athlete a short trek away at Notre Dame, and now a professional soccer player for the Chicago Red Stars of Women’s Professional Soccer. And she is loving every minute of her professional experience. “How could I not be happier being able to wake up every morning and play the game I love and actually get paid for it?” Weissenhofer said. 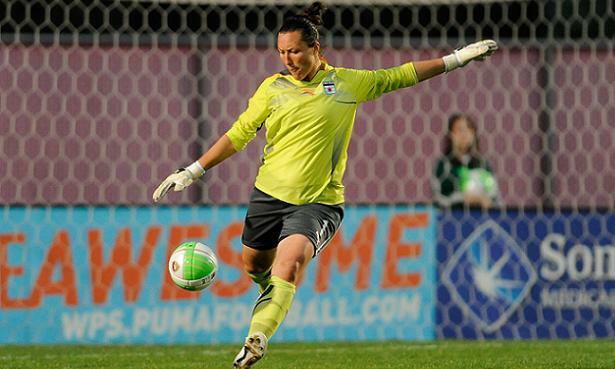 But long before Weissenhofer became a pro, she firmly planted her soccer roots in the soccer fields sprawled out across the Chicagoland area. Weissenhofer played youth soccer locally for the Eclipse Select soccer club along with current Red Stars teammate and Geneva, Ill., native Jackie Santacaterina. The familiarity of having local players she grew up playing with in the Red Stars training sessions is something Weissenhofer appreciates as she continues her transition into professional soccer in Chicago. 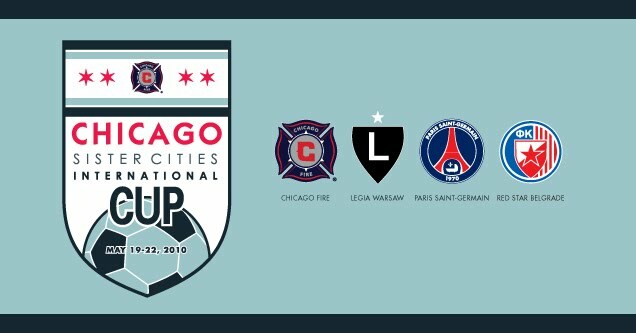 BRIDGEVIEW, Ill. -- The Chicago Fire's Sister Cities International Cup opens Wednesday night, with the MLS side hosting Paris Saint-Germain at 7 p.m. at Toyota Park. Legia Warsaw and Red Star Belgrade play each other afterward, and Wednesday's winners will meet in a championship match on Saturday. "We're very fortunate to play these games, and hopefully it brings out the best in us," Fire midfielder Patrick Nyarko said. "We are going into those games with the mind-set of winning them, and hopefully we win this tournament so it gives us a great deal of confidence." Confidence and momentum are two things the Fire would like to have back on their side when they resume league play. With eight games in the book and a 2-4-2 record to show for their efforts, Chicago needs to get back on track following back-to-back disheartening matches against Toronto FC (a 4-1 road loss) and the Kansas City Wizards (a 2-2 draw, despite having a 2-0 lead). Fire settle for 2-2 draw against K.C. The Chicago Fire capitalized early in both halves, taking a 2-0 lead, but they could not hang on as the Kansas City Wizards pulled off a 2-2 draw Saturday night at CommunityAmerica Ballpark in Kansas City. Wizards forward Kei Kamara netted two second-half goals in the 50th and 89th minutes, and Chicago (2-4-2) had to settle for one point on the road instead of three. "Toward the end, they threw a lot of bodies forward, causing a lot of motion in the box, and they were able to sneak one through," Fire forward Brian McBride said. BRIDGEVIEW, Ill. -- The Chicago Red Stars fell to the expansion Philadelphia Independence, 1-0, on Saturday in Women's Professional Soccer action in front of 5,645 fans at Toyota Park. The Independence improved to 3-1-2 and the Red Stars dropped to 1-4-1 on the season. "I think everyone is somewhat frustrated, but I think this is the time where it tests our character a lot," Red Stars defender Marian Dalmy said. "I can speak for every person on this team that we will keep fighting, and no matter what it takes we will find it." BRIDGEVIEW, Ill. -- For whatever reason the Chicago Fire typically have faired well against the Kansas City Wizards. That bodes well for them as they hope to quickly erase the memory of last week's 4-1 loss to Toronto FC. The Fire have a 20-9-7 all-time record against the Wizards as they make the trek to Kansas City for a Saturday match at CommunityAmerica Ballpark. "They're a team that we enjoy to play," Fire midfielder Logan Pause said. Chicago (2-3-2) faces a Wizards team that is 2-0-1 at home and 2-3-1 overall. The Fire could potentially change up their front-line system for this match. Fire head coach Carlos de los Cobos said earlier this week that he might not go with the one-attacker formation that the team has utilized for the past several weeks. "Maybe we'll play with two forwards," De los Cobos said. "We need to find a good result. The last match, I think that's the first match where we didn't look good." BRIDGEVIEW, Ill. -- The Chicago Red Stars start a three-game homestand this Saturday when they welcome the expansion Philadelphia Independence for a 6 p.m. match at Toyota Park. This is the first meeting between the two Women's Professional Soccer clubs. Both teams are coming off losses in last week’s competition when the Red Stars fell to FC Gold Pride, 2-0, and Philadelphia was dealt its first loss of the season, a 2-1 decision against Saint Louis Athletica. The Red Stars are looking to capture their first home win of the 2010 season. "Philadelphia is a very hard-working, physical team and if we're going to match them this weekend we're going to have to compete with them physically," Red Stars Head Coach Emma Hayes said. "They've gotten their results by really grinding out performances and I think they more than fully deserve the position they're in at this stage." For the full preview, visit ChicagoRedStars.com. 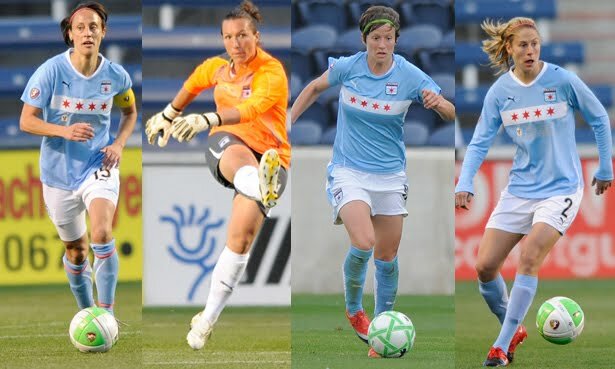 CHICAGO -- The Chicago Red Stars will have four representatives on the U.S. Women's National Team when the squad faces Germany at 5 p.m. CT on Saturday, May 22, in Cleveland, Ohio. Red Stars defender Kate Markgraf makes her return to the U.S. WNT along with fellow Chicago defender Marian Dalmy, goalkeeper Jillian Loyden and midfielder Megan Rapinoe. U.S. head coach Pia Sundhage is bringing 22 players to Cleveland, with 18 suiting up for the match. The international friendly will be televised on ESPN2. Markgraf, who gave birth to twins in July of 2009 and missed the inaugural Women's Professional Soccer season, has not played for the U.S. WNT since December of 2008. She needs only two more caps to hit 200 for her international career. Rapinoe led the U.S. with five points (two goals and an assist) during international play in 2009. Rapinoe and Dalmy each have 11 international caps, and Loyden still is in search of her first cap. CHICAGO -- It was only a matter of time before Mexico would tally the first strike during Monday night's soccer exhibition against Senegal. El Tri was in complete control from the get-go with a far superior possession game. In the 60th minute, Mexico finally struck as Alberto Medina's goal provided the difference en route to a 1-0 victory over Senegal in front of a sold-out crowd of 60,610 at Soldier Field. But Mexico head coach Javier Aguirre had reason to be a bit unsatisfied with the performance. El Tri had a bunch of scoring opportunities, and Medina particularly had several other chances. The one-goal win did the trick, but Mexico clearly could have done more. "We missed a few [opportunities] in the last third of the field," Aguirre said. "We need to look at connecting short passes. In the great leagues you only have one opportunity and you need to score it." CASTRO VALLEY, Calif. -- The Chicago Red Stars fell to first-place FC Gold Pride, 2-0, on Saturday in Women's Professional Soccer play at Castro Valley Athletic Stadium. The Red Stars had to play for approximately 65 minutes with only 10 players on the pitch. In the 25th minute, Red Stars defender Ifeoma Dieke was issued a red card for fouling Gold Pride's Kelley O'Hara in the box. Chicago avoided any initial damage when Gold Pride's Tiffeny Milbrett missed that particular penalty kick attempt. But Milbrett and O'Hara would make up for it with goals in the 45th and 78th minutes, respectively. "We hoped to get into halftime scoreless, and them scoring a minute before halftime was a blow for us," Red Stars Head Coach Emma Hayes said of Milbrett's goal. "Chasing the game for 60 minutes is just too difficult for this level." 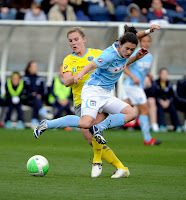 For the full game recap, visit ChicagoRedStars.com. The Chicago Fire looked out of sorts during their 4-1 loss to Toronto FC on Saturday at BMO Field as Chicago's three-game undefeated streak came to a close. Toronto had a wind-aided strike in the first half, but the rest was entirely on the Fire's shoulders as Toronto's Chad Barrett tallied two goals against his former teammates. 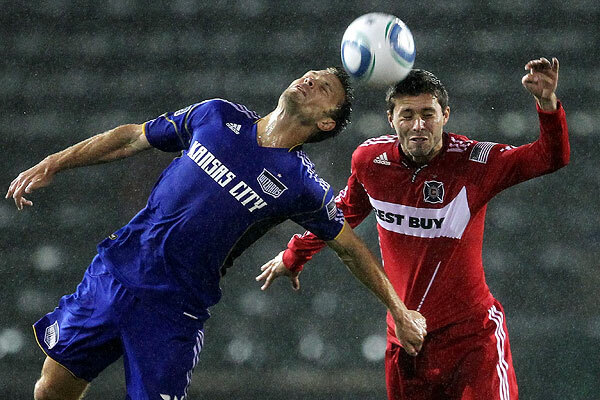 The last time the Fire gave up four goals in league play was during a 4-1 home loss to FC Dallas on Sept. 21, 2008. "It was a defensive meltdown," Fire defender C.J. Brown said. "I think the four guys in the back, we weren't sharp today. Just before the second half we thought putting a lot of pressure on them was going to be good for us, and it ended up biting us." OAK BROOK, Ill. - Halfway through a recent Chicago Red Stars practice, three attackers moved ahead with the ball, precisely targeted in on the goal. Immediately, Kate Markgraf sprinted into the middle of play from her defensive position. Soccer class was in session. Soon, the ball deflected out of play, and another rotation was back in action. Not bad for a 33-year-old mother of three. "She amazes me," Red Stars coach Emma Hayes said. "She really does. She's inspiring to be around ... a pleasure to coach." Markgraf, in her own way, almost shrugs off the attention. She is playing soccer the way she always has in six world championship events, at the University of Notre Dame and in her native Michigan as a youth. That is to say, with passion. "I don't have any fairytale storybook traditions," Markgraf said. "My whole goal is to go ahead every single day with the best attitude and the best mind-set and to give 100 percent every day, and the chips will fall where they may. Do the best I can." Read Paul Bowker's full piece at TeamUSA.org. BRIDGEVIEW, Ill. -- Chicago Fire head coach Carlos de los Cobos had to move a few pieces around to find the appropriate starting group and formation early on this season. For Toronto FC head coach Preki, it was quite a different story for his most recent roster shuffling. Last week against defending champion Real Salt Lake, Preki benched one of the league's top goal scorers in Dwayne De Rosario and designated player Julian de Guzman in a more defensive setup. It resulted in a 2-1 loss to RSL. Preki has made some significant personnel moves this year, particularly with the look of his defensive back line. Toronto had a midweek match against USSF D-II's Montreal Impact, which is the only -- somewhat -- logical reasoning for not going with his top talent. Don't expect Preki to sit De Rosario and de Guzman this Saturday when Chicago (2-2-2, 8 points) and Toronto (2-4-0, 6 points) square off at BMO Field for a 3 p.m. match. For the full preview, visit ESPNChicago.com. 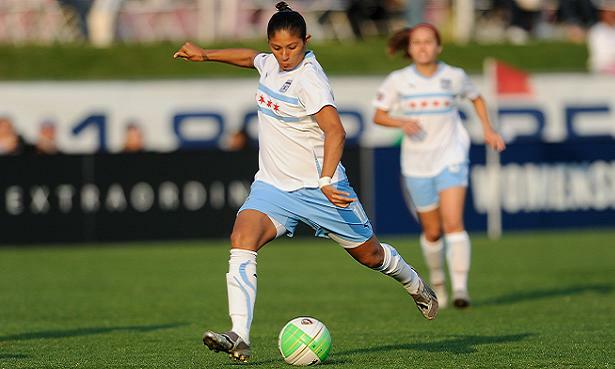 BRIDGEVIEW, Ill. -- The Chicago Red Stars travel out west to Castro Valley, Calif., to take on four-time FIFA Women's World Player of the Year Marta and the league-leading FC Gold Pride for a 9 p.m. CT match on Saturday in Women’s Professional Soccer action. This marks the teams' first head-to-head matchup of the 2010 WPS season. FC Gold Pride (3-1-0, 9 points) enters the match on a three-game winning streak and is only the second team in WPS history to sit alone in first place. The Red Stars (1-2-1, 4 points) are fresh off their first win of the 2010 season, a 2-0 road victory over the Boston Breakers last Saturday. It marked the end to a dubious road streak. The Red Stars had not earned a road victory since the team's inaugural WPS match, a 1-0 win over Saint Louis Athletica on April 4, 2009. 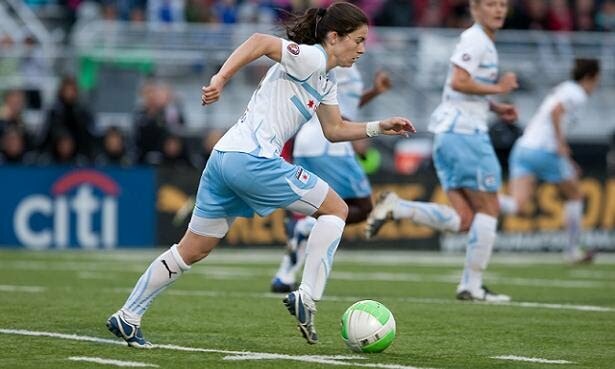 In the last meeting between the Red Stars and FC Gold Pride in 2009, Red Stars forward Cristiane scored the first hat trick in WPS history to lift the Red Stars past the Gold Pride, 3-1, on July 12, 2009, at Toyota Park. 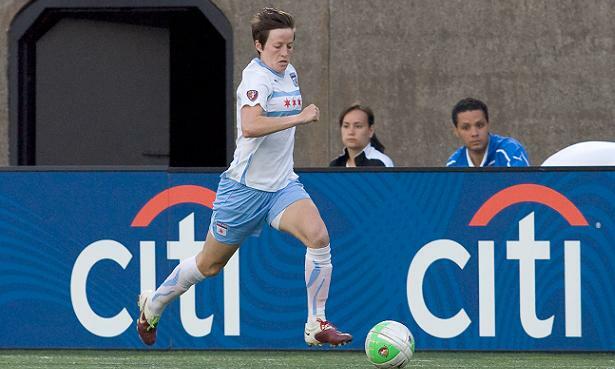 BRIDGEVIEW, Ill. -- The start of the 2010 Women’s Professional Soccer season did not go exactly as planned for Chicago Red Stars midfielder Megan Rapinoe. A key fixture on the 2009 squad, Rapinoe was sidelined for the first three games of this season as she recovered from mononucleosis. Read the full interview with Rapinoe at ChicagoRedStars.com. 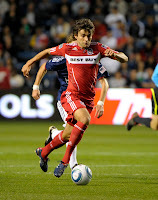 BRIDGEVIEW, Ill. -- Chicago Fire defender Tim Ward was a model of progression during the team's 2009 MLS season. Most matches he showcased continual improvement in his game. Then, his season hit a brick wall when he broke his toe during the 2009 SuperLiga final against Tigres UANL. Ward missed the latter third of the MLS regular season and Chicago's usual run to the Eastern Conference Finals. "It was really tough," Ward said. "It just made me want to play more, having to watch so many games at the end of last season, especially the big ones and the playoffs." Read the rest of the piece at ESPNChicago.com. 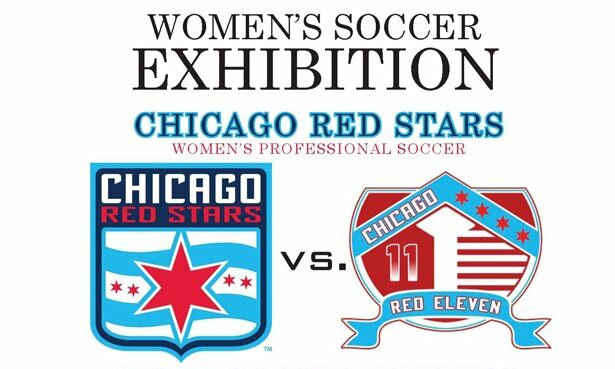 The Chicago Red Stars and United Soccer Leagues W-League affiliate Chicago Red Eleven will play in an exhibition match at 6:30 p.m. Friday, May 21, at the Schwaben Athletic Club, 301 Weiland Ave., in Buffalo Grove. Last year, the two teams battled at Benedictine University in Lisle, with the Red Stars earning a 1-0 victory. For more details, visit ChicagoRedStars.com. 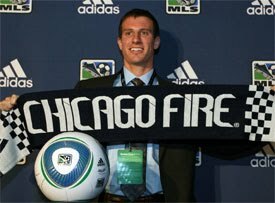 BRIDGEVIEW, Ill. -- With six games under his belt -- 20 percent of the MLS regular season -- this seemed to be an appropriate time to get inside the mind of the Chicago Fire's Andrew Dykstra and his first season as the team's No. 1 goalkeeper. The preseason fiasco of the late switch with Dykstra taking over Jon Busch's previous role has died down, and the 24-year-old has had ample opportunity to get into a comfortable place as Chicago's last line of defense. 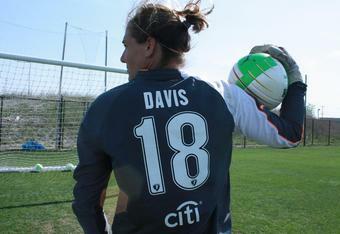 "My personal play, I feel it has been very good," Dykstra said Tuesday following the Fire's training session. "When you look at young keepers that start out, you typically see a lot of dumb mistakes. And I can probably only say I've had half a dumb mistake, and that was the one against San Jose." Read the rest of this interview at ESPNChicago.com. Despite a 2-0 road victory over the Boston Breakers, the Chicago Red Stars maintained a 7th-place stance in Goal.com's Women's Professional Soccer Power Rankings. The Red Stars could change the order quite a bit this Saturday if they find some success on the west coast when they take on the first-place FC Gold Pride. For the full WPS Power Rankings, visit Goal.com. BRIDGEVIEW, Ill. -- The Chicago Fire took a small step back in ESPNsoccernet.com's MLS Power Rankings, dropping from eighth to ninth place this week following their 1-1 home draw against Chivas USA on Saturday at Toyota Park. Visit ESPNChicago.com for the full post and complete league rankings for Week 7. Bleacher Report contributor Lauren Salter chatted with Chicago Red Stars goalkeeper Kelsey Davis, but it wasn't about the X's and O's on the pitch. Salter focused on Davis' community service work, the Red Stars' partnership with Ronald McDonald House Charities and more. CLICK HERE to read Salter's piece on BleacherReport.com. The Chicago Red Stars earned their first road victory since their inaugural 2009 WPS road match against Saint Louis Athletica, topping the Boston Breakers, 2-0. So with the win, Bleacher Report decided to lift Chicago out of eighth place and into fifth. Check out the rest of Bleacher Report's power rankings. Libertyville native and Chicago Fire midfielder Baggio Husidic netted his second goal in as many games, but Chicago had to settle for a 1-1 draw against Chivas USA on Saturday at Toyota Park in Bridgeview. "He's having a good performance throughout these two matches," Fire head coach Carlos de los Cobos said. "He's becoming one of the top members of the team." You can read more from this match at ESPNChicago.com. 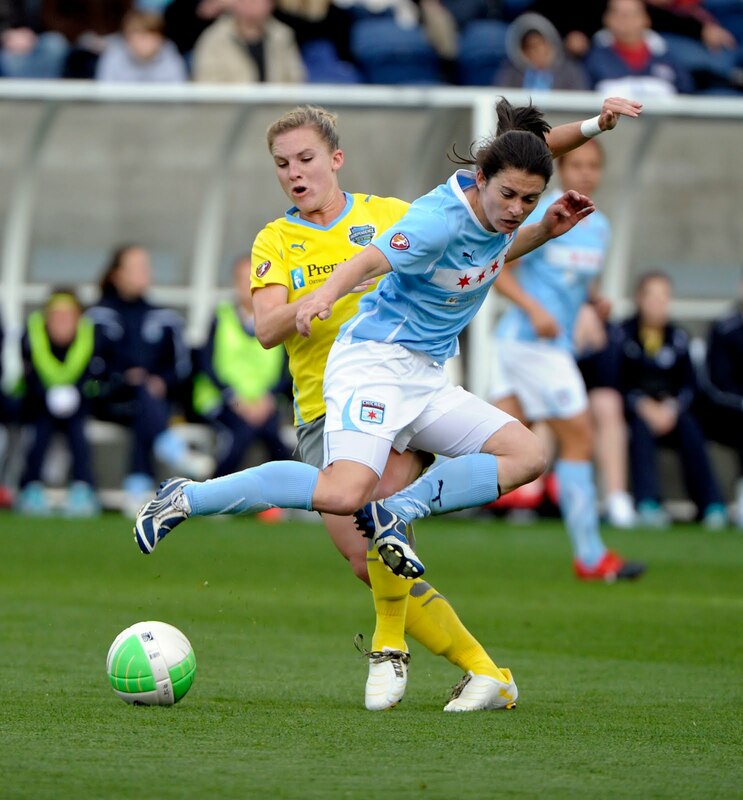 Casey Nogueira and Cristiane (pictured right) each netted a second-half goal as the Chicago Red Stars defeated the host Boston Breakers, 2-0, on Saturday in Women's Professional Soccer play at Harvard Stadium. Nogueira made her first WPS start and leads the Red Stars with two goals this season. Cristiane contributed her first goal of the campaign after leading the team with seven goals during the inaugural 2009 WPS season. "I think for the team, they really needed the result tonight," Red Stars head coach Emma Hayes said. "It was a great team performance all around, and the result was fully deserved." You can read more from this match at ChicagoRedStars.com.